The Book on WOW! | How to Blow Away Your Clients and Everyone Else in Your Life! How to Blow Away Your Clients and Everyone Else in Your Life! Do you find life boring and dull? Are you working in a dead-end job instead of the career that you have dreamed of? Do you have unhealthy relationships with family, friends, and co-workers and don't know how to change it? Maybe it is time to live a radically new life filled with Wondrous Outstanding Worth or in other words a life of WOW. 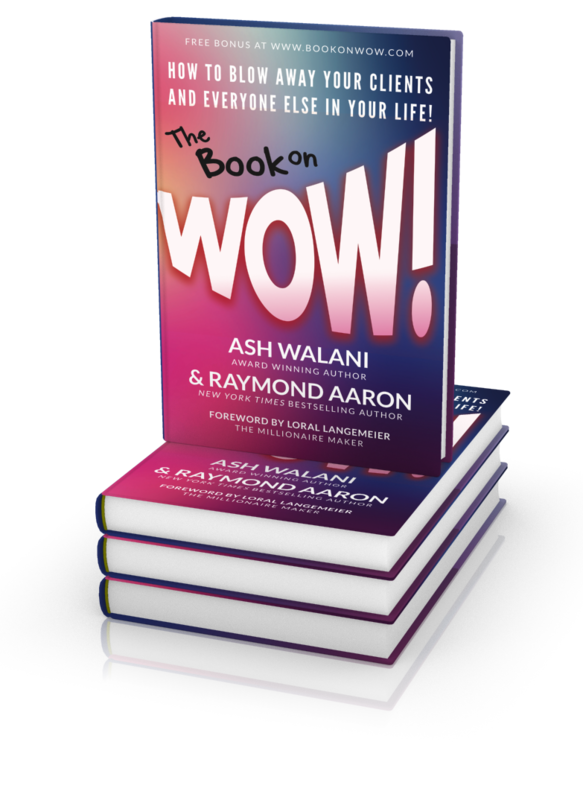 Ash Walani and Raymond Aaron dive deep into what it takes to live a full, rich life in all areas starting with yourself. They then show you how to have an amazing marriage, strong, vital relationships with your kids, other family members and friends. Then they take you into your professional life and show you the changes you need to take, to make it one that you enjoy and thrive in. Where you know how to nail that job interview to your perfect job and then get raises and promotions once you get it. You can create the life that you want, and it starts with learning about the power of WOW in your life. Get bonus material directly from the author to help make this book even more effective in your life. Please submit the form below to gain access. 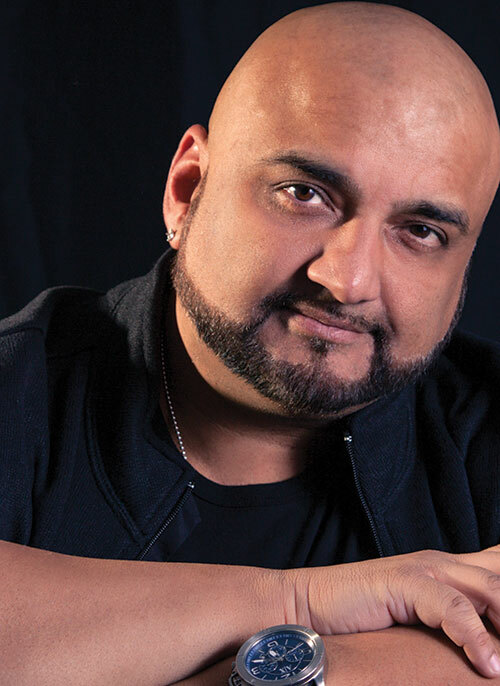 Ash Walani is an accomplished author, digital designer, and multi-media artist. He is owner of AW Creative Media, a successful Canadian print and design firm. He has also worked in sales, marketing and design for over 20 years. Ash lives in Toronto, Canada with his wife of 25 years and his two children. Already done from within book? ARE YOU TIRED OF LIVING the Average Life? etc.